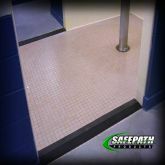 SafePath™ Products offers SafeShower™ Ramp Transitions for walk-in bathtubs and showers that require edge treatment or a transition ramp. 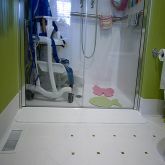 Whether it is a commercial or residential shower, access is often required and accomplished by using our SafeShower™ Ramps to satisfy ADA and disability access codes. 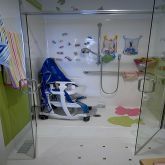 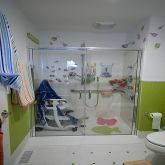 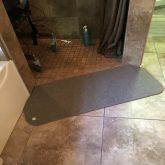 SafeShower™ Ramps not only make life safer and easier for disabled persons and those that simply have trouble overcoming a walk-in bathtub or shower transition, but are incredibly important for caregivers as well. 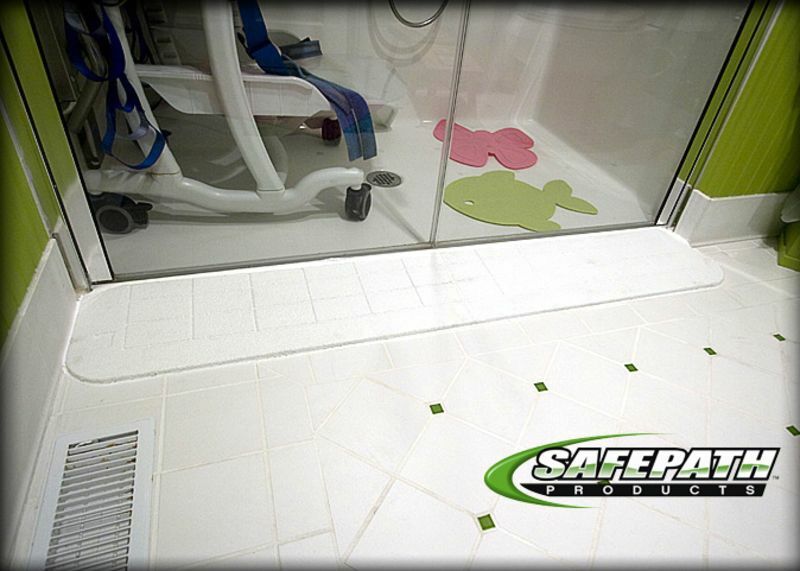 SafeShower™ ramps can be installed with silicone adhesive for a permanent application or with double-back tape for less permanent applications.